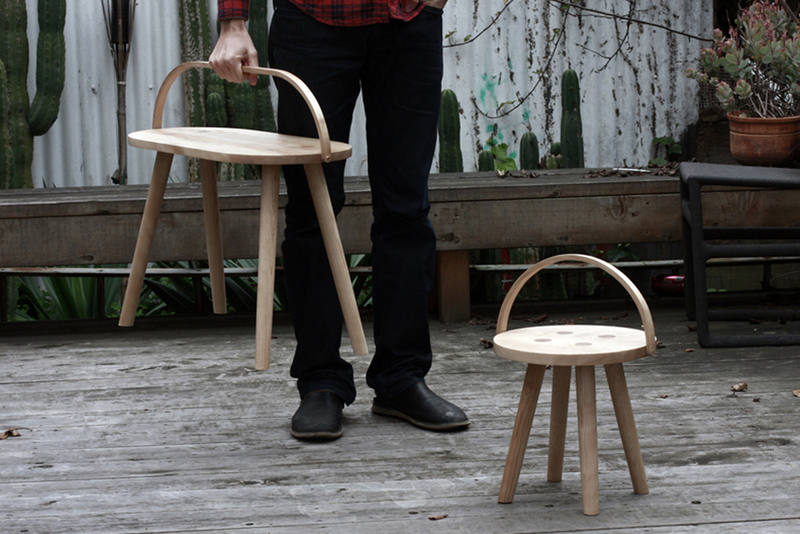 The bucket stool comes in two sizes: a simple round step stool and a “doublewide” version to use as a bench or side table. 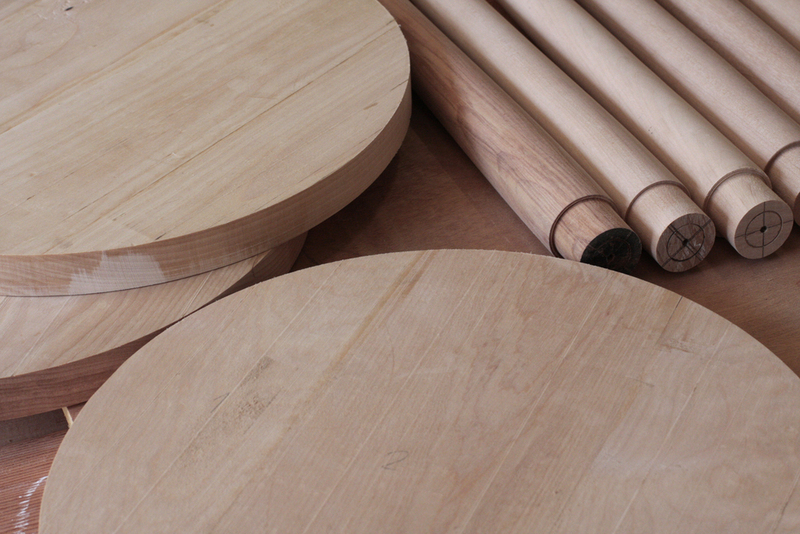 Each are made by hand in our small woodshop in SoMa, San Francisco. 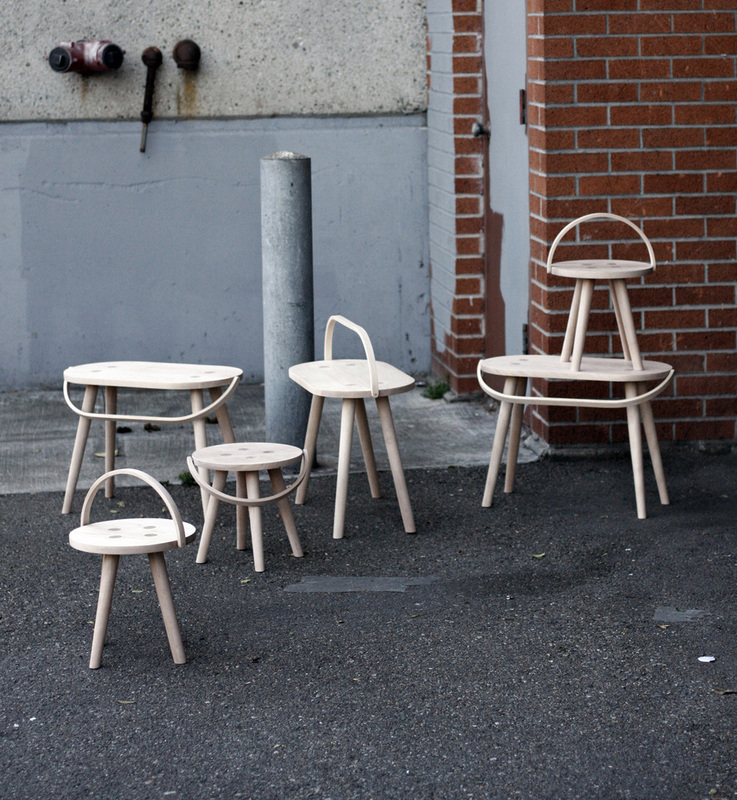 The stools are made of Birch, a light colored wood that is dense and strong. 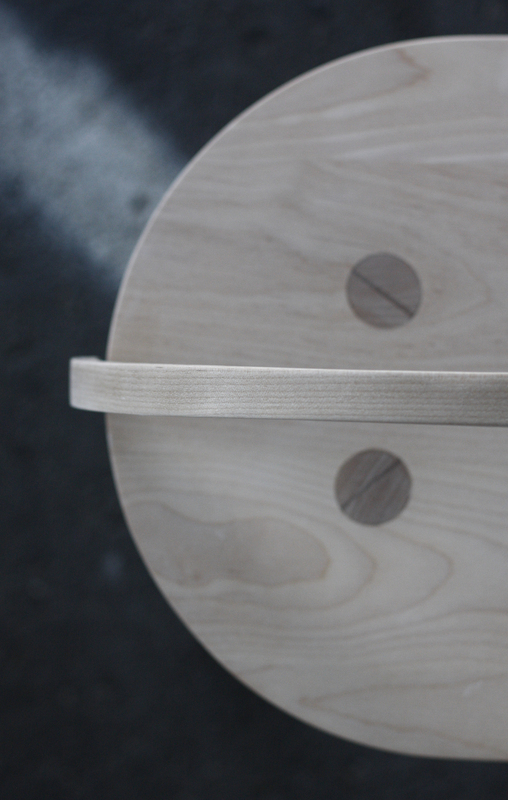 The bent wood handle is designed for carrying or hanging storage, taking direct inspiration from the handle of a bucket. 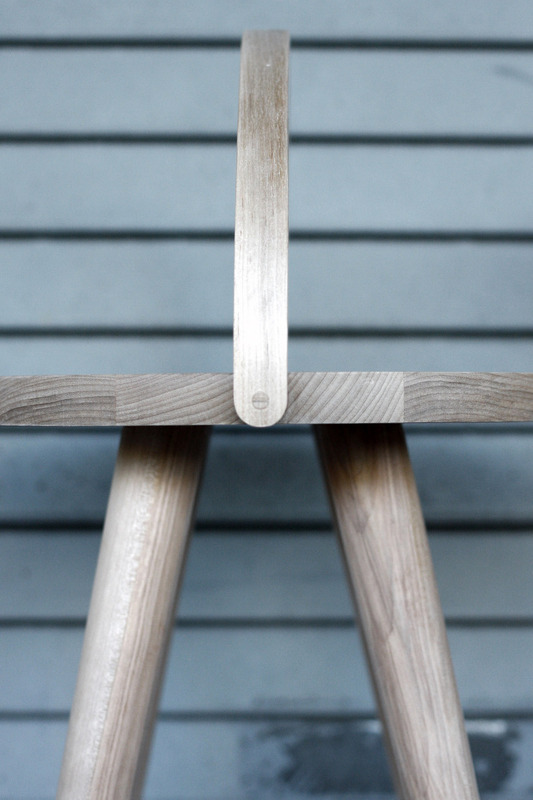 The legs are each turned by hand on the lathe, and the through tenons with wedge inserts in the seat are intended to last a lifetime of use.